Unlike other walking / running events held in the capital, this one started in the afternoon (10km walkers had to be at Frank Kitts at 5:30 pm). I suppose, since it’s not an actual sporting / competitive activity, they didn’t have to start at the crack of dawn so that the roads could be closed off and there would be less chances of participants succumbing to heatstroke. They also stressed that the Pink Star Walk is not a race. The participants are there to raise funds, raise awareness, and have fun. No records need to be broken, no need to beat someone else’s “fastest time”. Anyway, I did this walk with Lady H, a friend and officemate, who I somehow managed to convince to sign up with me. We met up at Frank Kitts at 4:45 to enjoy the festive atmosphere and relax before the big walk. While waiting for the event to start, we managed to get a few freebies – coffee sachets from Robert Harris, a pink nail file, and a pink “Pink Star Walker” sash. Since it was Lady H’s first time, I told her that events such as these normally start off with a short talk, followed by warming up exercises and then the walk itself. True enough, that’s what happened although, instead of doing stretches for our warm up, the lady from Jetts Fitness (another Pink Star Walk sponsor) made us do 2 rounds of Zumba! And then … we went on our merry way. We were to walk from Frank Kitts, down Oriental Bay and the rest of the bays until we reached the NIWA building at Greta Point, and from there, we were to retrace our steps and walk back to Frank Kitts. Even though it was sunny, it was unbelievably windy (It’s Wellington, when is it NOT windy? ), we walked at an angle on some occasions, but we made it. We walked 10 kms in an hour and 45 minutes. Not bad aye? Some pre-walk photos, below. Walking towards the starting line …. 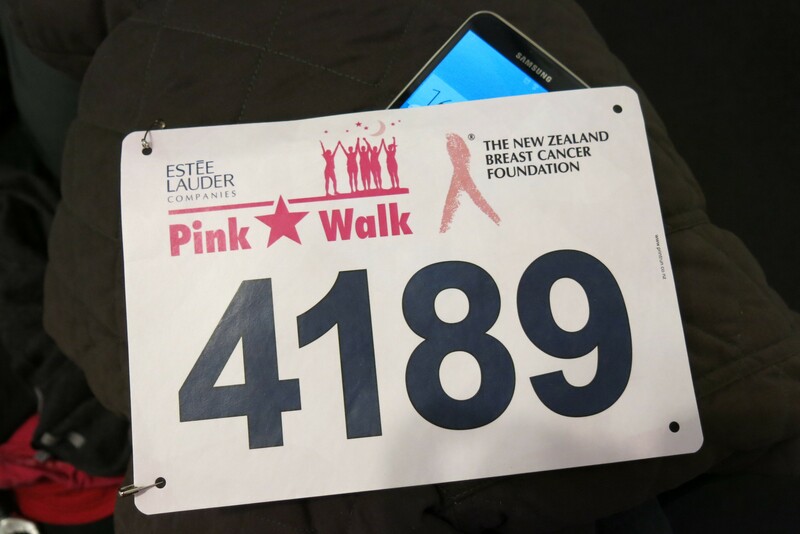 Well done Pink Star Walkers! Until next year! I signed up for the Pink Star Walk not just for fitness but to support a good friend Iska, an amazing architect, graphic designer and self-trained culinary expert (visit her website at: http://www.iskandals.com/), who was recently diagnosed with Breast Cancer. Thankfully, it was discovered whilst in its early stages. As at today, she’s completed several rounds of Chemo and Radiation treatments and is, if I’m not mistaken, on her way to recovery. I also did this walk for my dear Papa, who succumbed to cancer (not breast, but cancer just the same) 4 years ago on Tuesday (07 October 2015). Papa, you are very much loved, still remembered and will forever be missed. This walk’s for you too.